Thanks to the wonders of modern science (well, iTunes anyway), I’ve been able to recreate a long lost compilation LP that was one of my absolute favourites when I was in my teens. It’s The Story of The Who (by The Who, obviously), a collection that was first released in 1976. I originally had it on a BASF cassette, taped from my brother’s vinyl LP (seemingly oblivious to the fact that home taping was killing music). It would have looked something like this, although possibly on a C90 rather than a C60, and the track listing would have been written out in blue ink with a fountain pen. I can remember playing it endlessly on my Sony Walkman, very loudly, through tinny headphones that leaked sound, and probably annoyed my parents no end. I think it must have been 1984 when I originally acquired it, so I would have been 14. For anyone thinking it was a strange choice for a 14 year-old girl in the mid 1980s, you’re probably right. I was just starting a voyage of musical discovery that would take me away from the likes of Paul Young and Howard Jones, and off to some very strange places indeed. I think I originally discovered The Who through my devotion to Paul Weller (which is another story altogether), after he cited them as an early influence for The Jam. And why a home-taped cassette of a fairly random compilation dating from 1976, rather than one of their superb studio albums? Because that’s what I had access to at the time. These were the days when anything that wasn’t mainstream chart music was incredibly hard to get hold of. This was pre-internet, pre-Amazon, pre-iTunes, remember. There were two record shops in the market town where I went to school, and one of those was actually a section of Woolworth’s. There was a better choice in nearby Burton-on-Trent, including John Menzies, Boots Soundshop (yes, Boots used to sell records) and a small specialist record shop. But getting hold of anything even slightly left-field really meant a trip to Nottingham on the train, and a visit to Selectadisc. All of this relied on saving up money, and being given lifts, as the bus service in the small village where I grew up was non-existent for all practical purposes. Luckily I had (still have, in fact) a much older brother with an interesting record collection. So, I taped the LP that my brother had, and listened to that. A lot. Possibly a little obsessively. And for a long time, that cassette was The Who as far as I was concerned. I knew the track listing, knew all the lyrics, knew every pop and crackle that had transferred from the vinyl original. 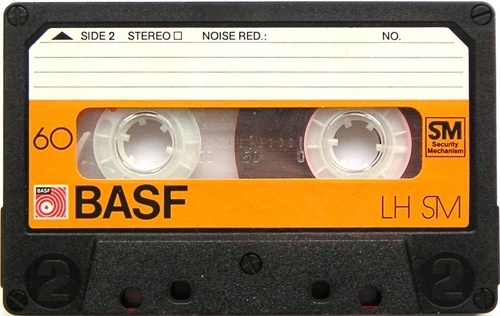 The cassette itself is long gone, and even if I still had it, I would no longer have any way of playing it. I love the fact that I was able to find the track listing online, then pull the individual songs together in an iTunes playlist to recreate it. I think it’s wonderful that music has become so accessible, that it’s so easy to discover new bands, that everything The Who ever recorded is sitting there waiting to be downloaded. But I do wonder if their music would still resonate so strongly with me after so many years if it had been that easy to get hold of it in the first place.